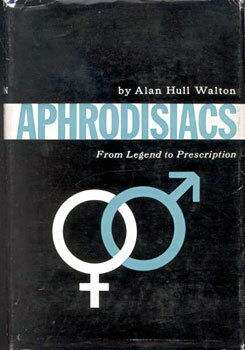 This book tells the strange fascinating story of the use and misuse of aphrodisiacs through centuries of human history. To gather material for it, Mr. Walton had to comb through hundreds of obscure medical and scientific manuscripts in the literature of all peoples in all times and places. The volume is divided into three major sections. Part I is a history of love potions through the ages. . . The second section is devoted to the Cookery of Love, in which the author describes the effects upon sexual vigor of many foods, beverages, tonics, glandular extracts and ointments. . . In his third major section, the author shows how pharmaceutical preparations affect virility, and takes up such allied topics as nutrition, vitamin intake, and hormone injects in terms of their rejuvenative powers. . .